Hakan Gürocak | I.K International Publishing House Pvt. 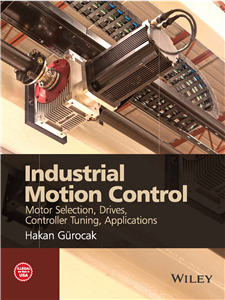 Ltd.
Hakan Gürocak is an active researcher in the areas of fuzzy logic, robotic precision assembly and haptic interfaces for virtual reality for over 19 years. He developed and has been offering the three mechatronics option courses at WSU Vancouver. With prior funding from NSF and Society of Manufacturing Engineers, he developed specialized hardware/software and curriculum for remote delivery of laboratory courses over the Internet in real-time. Dr Gurocak received the 2001 WSU Vancouver Faculty Research Excellence Award and the best paper awards in 2001 ASEE Conference in Manufacturing Division on remote delivery of laboratory courses, and in 2007 ASEE Mechanical Engineering Division on mechatronics education. Dr. Gürocak is an ABET Program Evaluator for mechanical engineering programs.